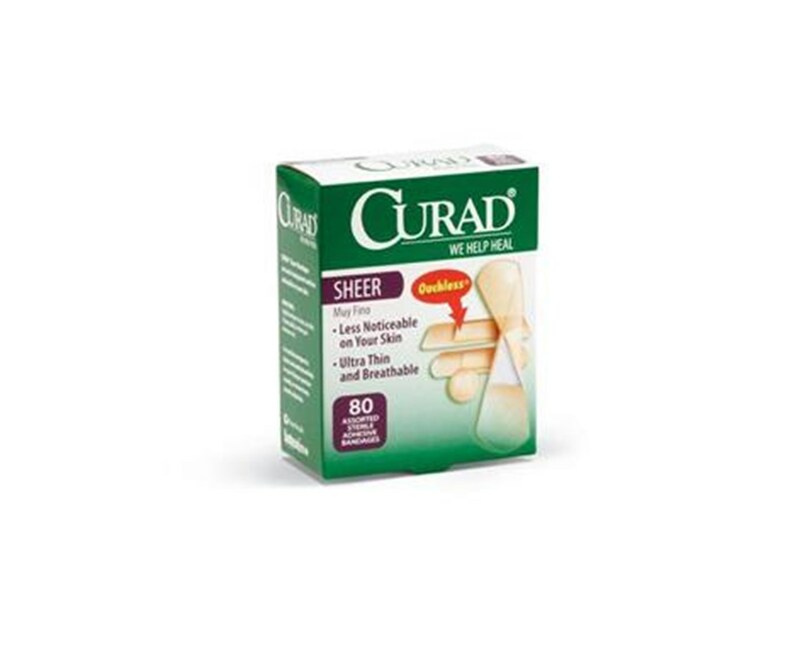 Curad's Sheer Adhesive Bandages are designed to blend with your skin for a more discreet look. 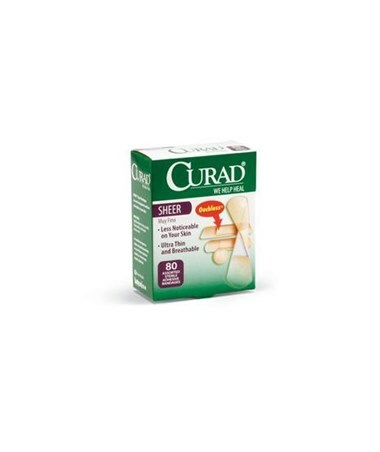 The "ouchless" island pad comfortably protects the wound from germs and dirt with a four-sided seal. 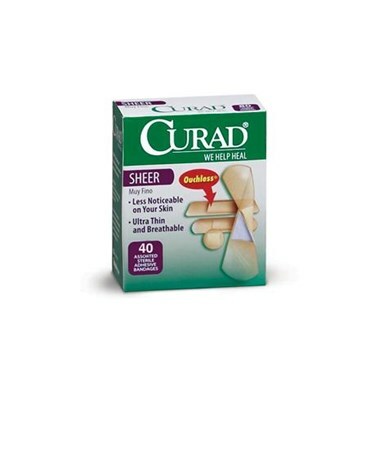 We offer the Sheer Adhesive Assorted Size Bandages in three quantities. Select from the drop down menu above.